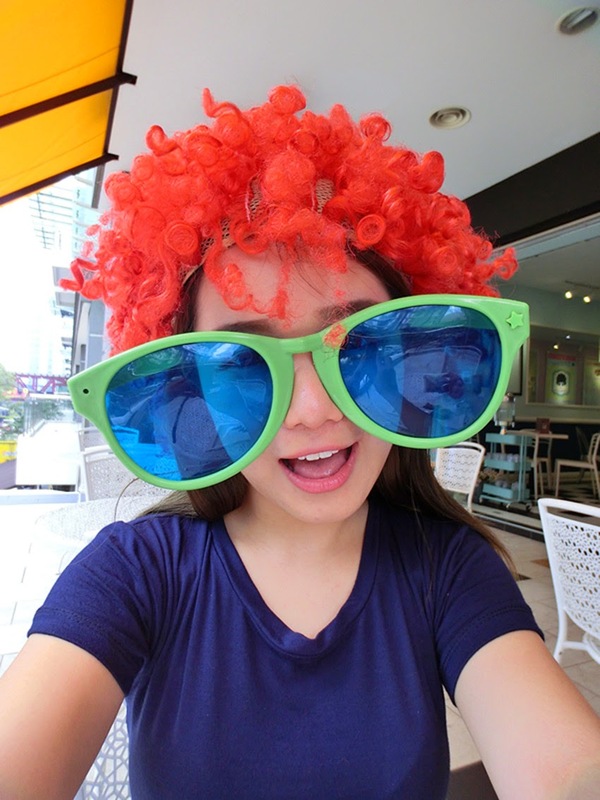 Amelie's Blog : Desserts: I'm MAD about Coco. Hmm, I wonder if you are a kind of girl like me who loves everything that's fully covered with chocolate. Every desserts which comes in dark color or named after chocolate/brownies are definitely tempting to me. They always give me a impression of "It must be delicious". Personally, I feel that chocolate can instantly turn all my gloomy feeling into merry and satisfaction. 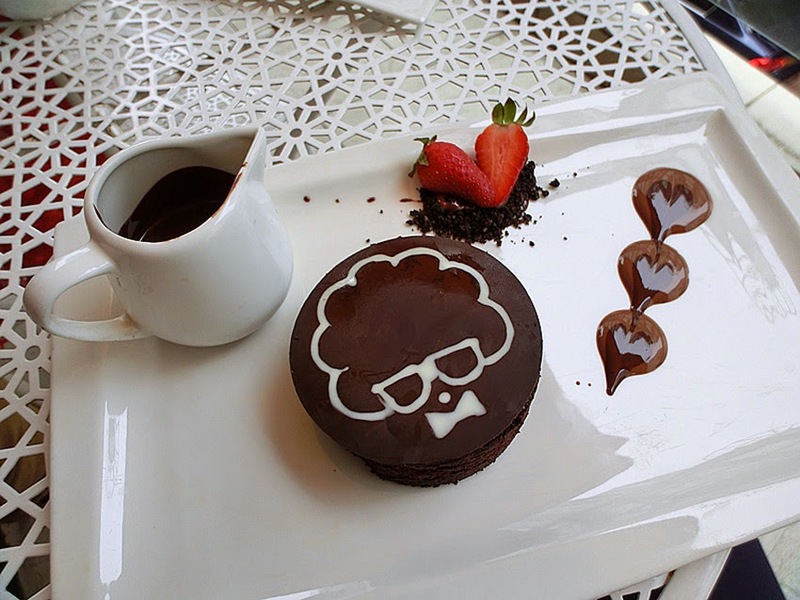 I used to have a dream of trying all the chocolate desserts all over the world one day. 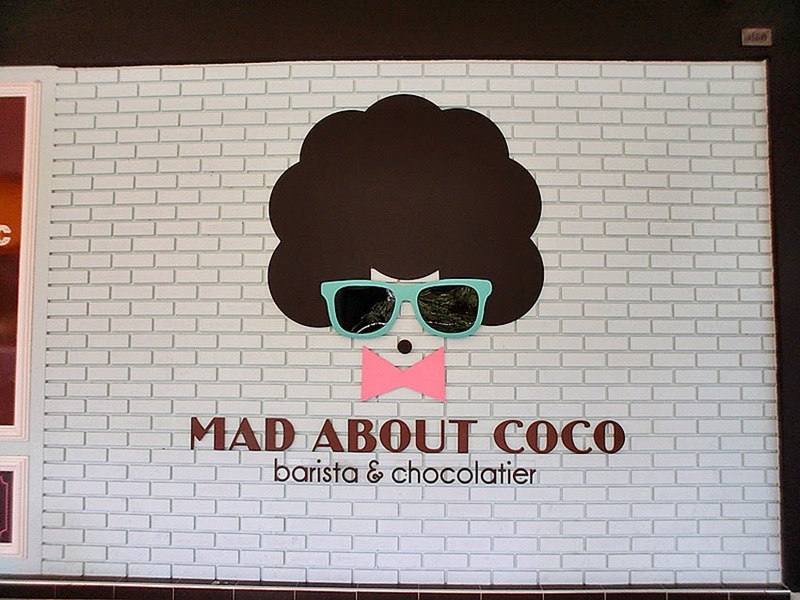 So, I have landed at Mad About Coco which located in Publika, Solaris Dutamas months ago. 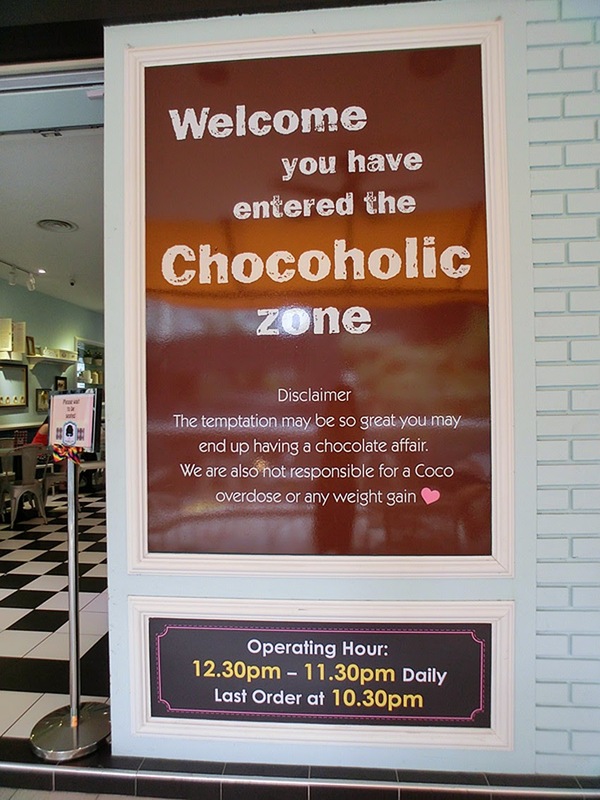 So adorable to look at the captions here 'we are not responsible for a Coco overdose or any weight gain' Haha! They even have props to play with, just placed right at the corner of the shop. The Innocent Devil Tiramisu Ball (RM20) that made in a combination of white chocolate on the top and chocolate cake at the bottom. 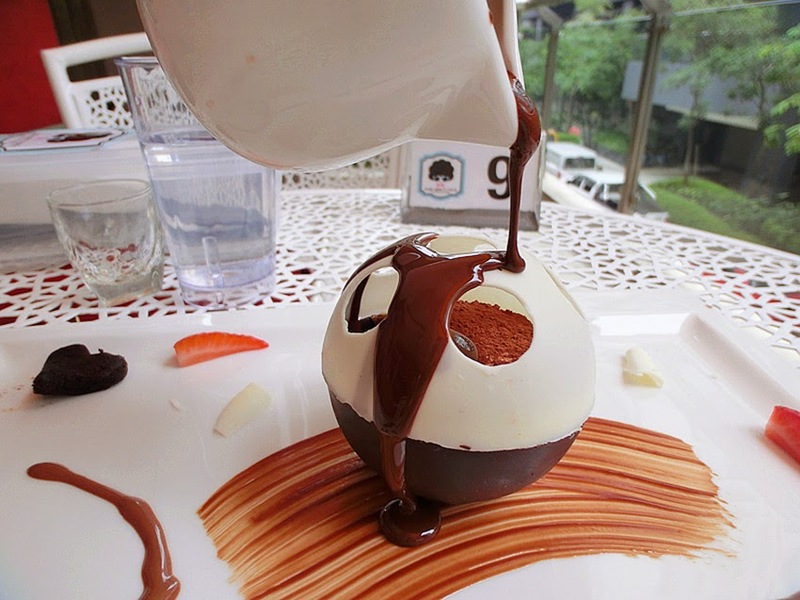 It comes with a jug of hot chocolate which needed to be instantly pour on the tiramisu ball. It turns into a mess after melting yet it tastes delicate with adequate chocolate aroma spreading in mouth. 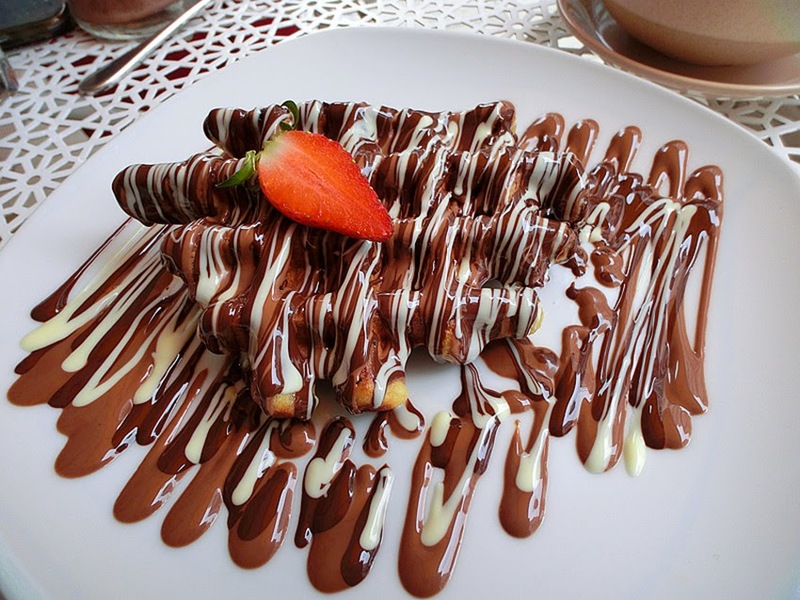 Belgium Waffle (RM12), a warm Belgian waffle served with pure melted chocolate. The softness of waffle just nice yet I find it too sweet for me. Do share this dish with your loved one. 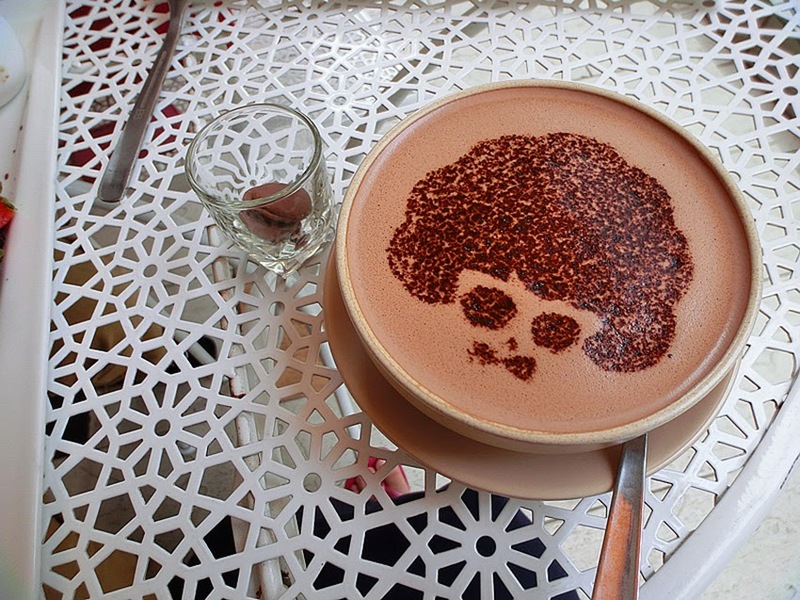 Here's the hot chocolate (RM12) beverage with their signature logo. It tastes just nice, not too sweet nor greasy after taste. A cup of Belgium chocolate is given, with the usage like sugar cube to be added into the chocolate drink, adding a little sweetness. Lastly, the signature Mad About Coco (RM20), a chocolate lava cake which also needed to be melted with a jug of hot chocolate. The chocolate savor is so intense and tastes just fine. I find it too pricey for all the dishes although they are quite unique but I rather spend this amount of money on proper meal. I will never pay a second visit after all.